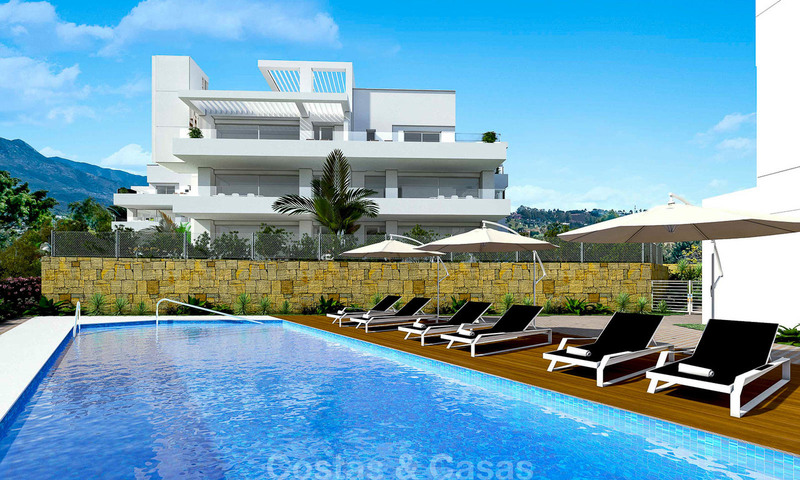 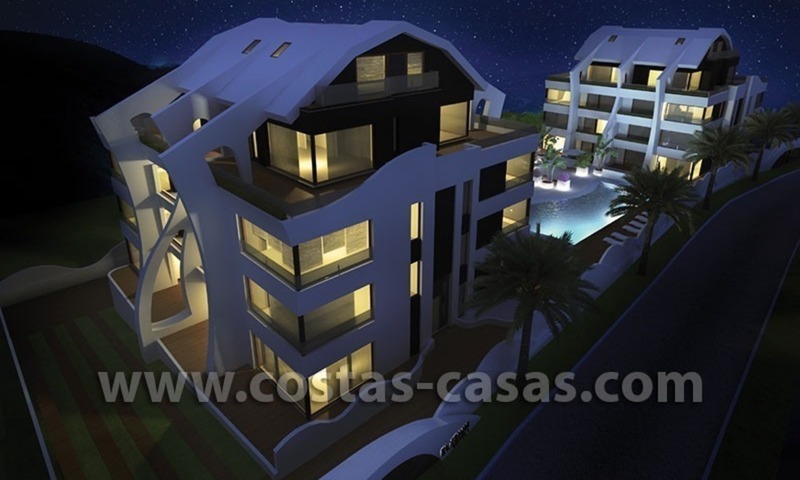 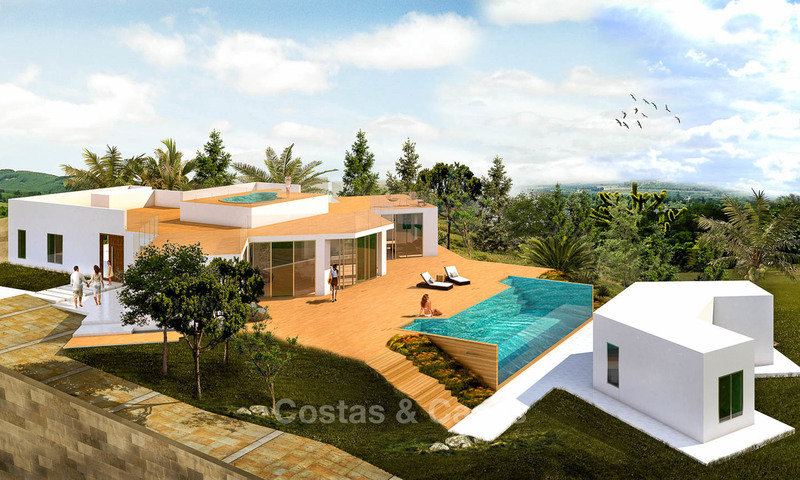 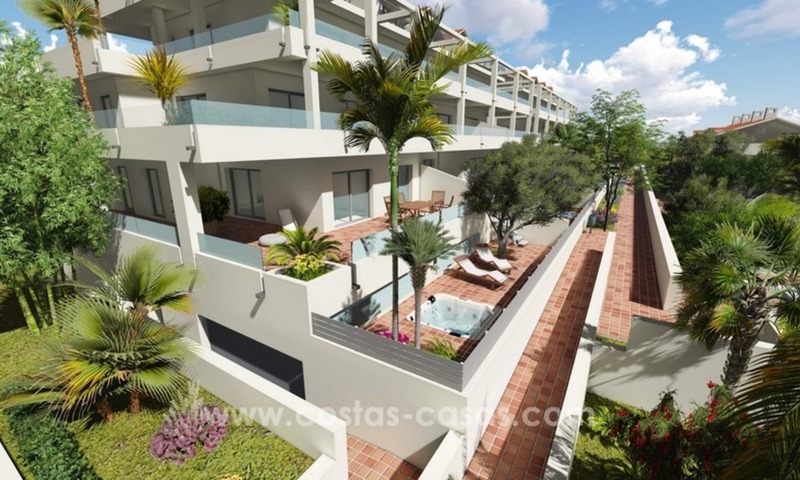 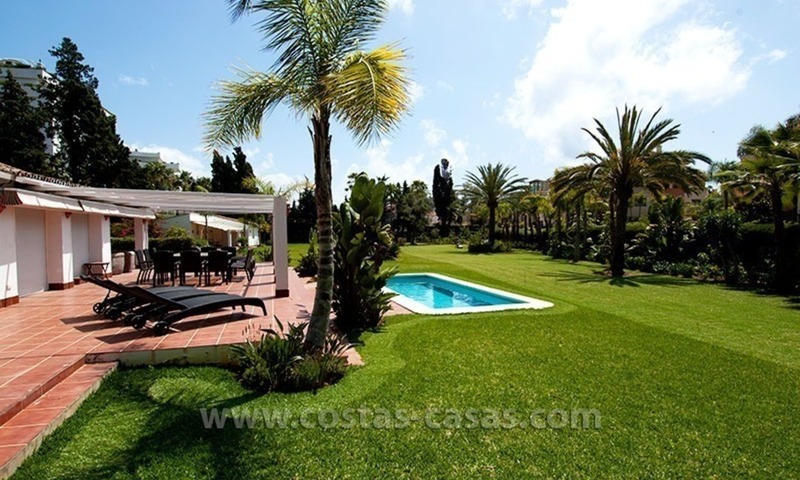 New modern apartments and penthouses under construction, on the New Golden Mile, Marbella - Estepona The complex features beautiful tropical gardens and 2 communal pools. 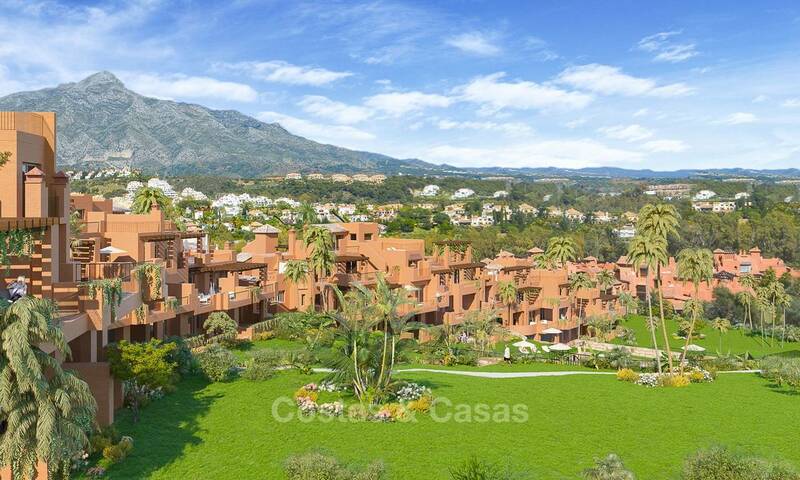 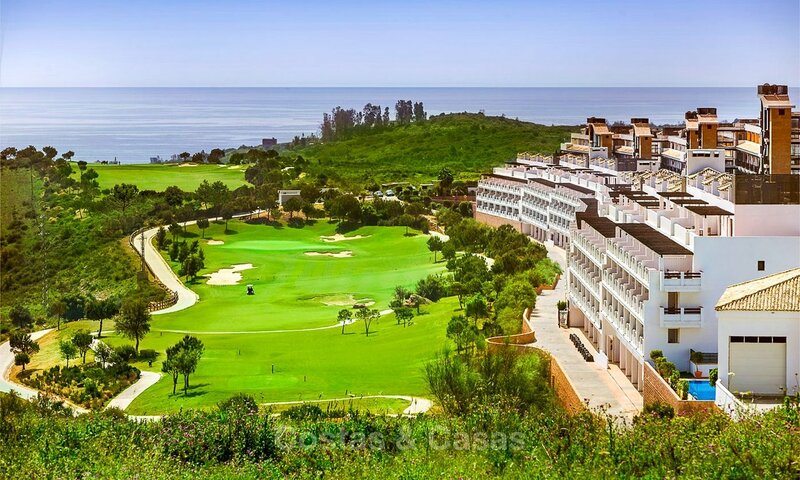 The development enjoys a unique tranquil setting, with beautiful countryside and sea views at the edge of a natural park, yet only 5 mins drive to the beach, shops, bars restaurants and amenities, only 15 mins to the glamourous Puerto Banús and 10 mins to the traditional town of Estepona and to San Pedro. 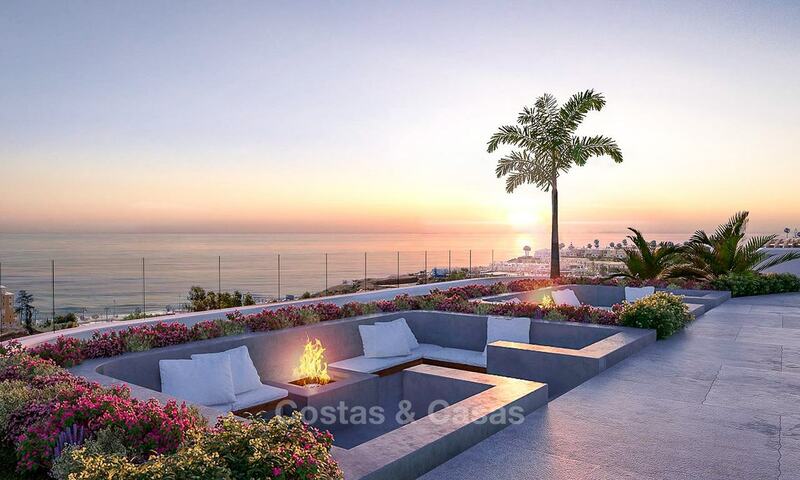 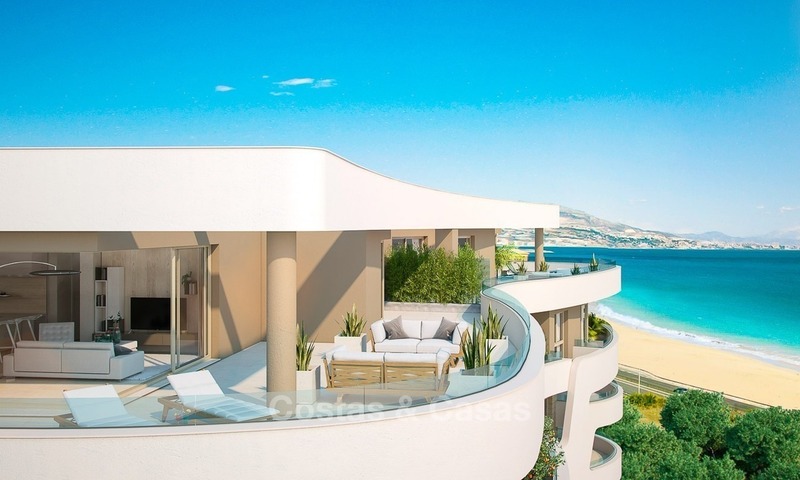 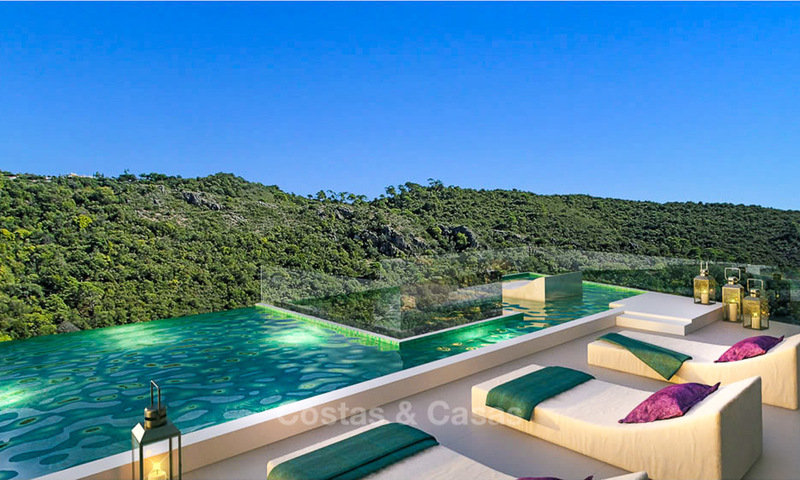 The 2 bedroom, 2 bathrooms apartments are South West facing with views to Gibraltar and Africa on the horizon and views to the sea on the South.